So, is Black as good as everyone was hoping it would be? Not really. Unfortunately, the game screams “mediocre” in just about every way and does not do anything well enough to distinguish itself from the rest of the typical Xbox shooters. It brings nothing new to the genre, and everything it does we have seen done better in other games. Let’s start with the weaponry in the game, as Criterion has said they are the star of the show. The assortment of weapons is your typical shooter selection. You have your machine guns, assault rifles, shotguns, sniper rifles, and your big rocket launcher. There is not much to distinguish each of the bullet weapons from each other. They all appear to do pretty much the same amount of damage, with only the range or rate of fire being slightly different. The weapon models themselves are unremarkable. Sometimes you have the ability to attach a silencer to the guns, but it does not have much of an effect, and this is hardly a stealth game. Actually shooting the weapons feels pretty good as they can tear into some things, ripping it apart as everything erupts into dust. However, the environments themselves are not that destructible, and remind me of Red Faction II. Only things designed to be broken can be, and you can even see the lines in the geometry where the item will break when you shoot it, which takes out a lot of the fun. There are many situations when you can blow a hole in a thick concrete wall, but a chain fence will withstand a blast from a rocket launcher. As for shooting the enemies, they don’t react much to being shot, and there are only a few death animations that you will see over and over again. The graphics are pretty good for a last generation game. The particle effects like dust and smoke look pretty good, and the environments look pretty decent. The explosions are great as well. Shooting into things like walls, boxes and cars looks pretty cool, though no where near as good as F.E.A.R. looks when you are blowing objects to pieces. There are eight levels in the campaign, and they are over pretty quickly. Other reviews have said the game lasts about 6-8 hours, but the game timer clocked in at less than 4 hours when I was done. At first the game starts off with a pretty energetic and explosive level, but shortly after you realize that you have seen pretty much everything there is to see after the first level. The level design is pretty boring overall, only the first few missions are interesting. The gameplay itself pretty much breaks down to looking for barrels and other conveniently placed explosives to shoot to take out enemies. The AI is pretty suspect, and you face the same few types of enemies for the entire game. The only difference is that some of them have extra armor or a face mask, which just means that you have to shoot them in the head a few times before they go down. There is not much strategy to this game at all, so put your brain on hold and fire away. Your indestructible teammates don’t do much to mix up the gameplay during the few levels that they appear, and are pretty much useless. There are some secondary objectives in the game, the most of which are pretty lame. You will be walking around a level and find a locked safe randomly on the ground in an empty room that you are supposed to shoot, or you might be walking around and see a random laptop with a red screen that you need to destroy. The secondary objectives feel contrived and completely unrealistic. The plot is your typical black ops story line and the characters in the game are two dimensional. The story is told by live action flash backs. It feels as if the only purpose of the plot is to try to give you some minimal justification as to why you are where you are and to try to explain what you are doing. It just comes off as a bad excuse to give you a reason to shoot some dudes. Also, the game ends pretty quickly without much closure and the plot is paper thin. The lack of any multiplayer component also hurts the games value a lot. Since the game is extremely short, at least some multiplayer mode could have allowed you to get some further mileage with this game. 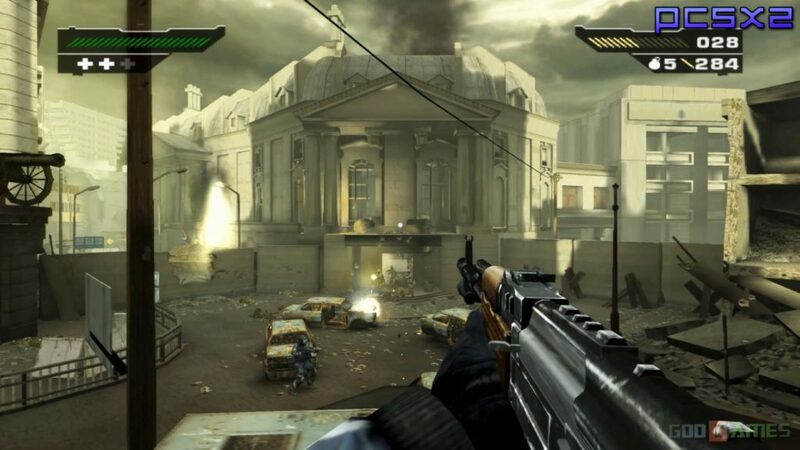 Though given the gameplay, I don’t think they could have made a compelling multiplayer game unless they drastically changed some of the core shooting mechanics for online play. Overall, the game is competent and can be fun for a short amount of time, but due to how short and unremarkable it is I would suggest renting this game over buying it. If you were not interested in it before, there is no reason to check it out at all.